The instruments of the string family are all made of wood, and are all played by either bowing or plucking the strings. The bow stick is generally made either of wood or fiberglass, and the bow hair is either synthetic or genuine horsehair. 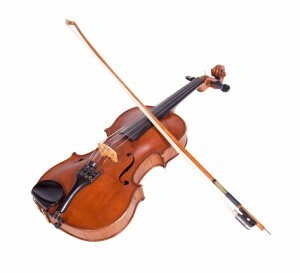 The sound of the instrument is created by drawing the hair of the bow across the strings, which causes the strings to vibrate and produce a tone. The violin is the smallest of the string family of instruments and therefore plays the highest notes. 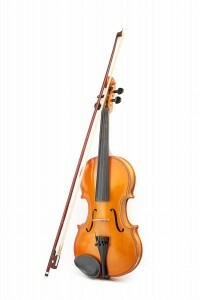 Violins come in different sizes so even the smallest of players can comfortably and easily hold and play it. Each child is “sized” or measured to find just the right size instrument for his or her stature. Violin sizes are generally given in fractional form, such as 1/8, 1/4, 1/2, 3/4, and 4/4. The viola is like the “big brother” of the violin. It looks a lot like the violin, but is tuned differently and has a deeper tone. Much like the violin, the viola comes in different sizes to fit different size players. Viola sizes are generally listed as 13″, 14″, 15″, and 16″. The cello is a beautiful instrument that rests on the floor while the player sits behind it. It plays notes lower than the viola and has a dark, rich sound. Cello sizes are listed like violin sizes: 1/2, 3/4, and 4/4. The string bass looks like a very big violin. It is often played while standing up or sitting on a tall stool. A lot of the music for string bass requires the rhythmic plucking of the strings, but a bow is used too. The string bass is the backbone of the orchestra, helping to keep everyone playing together. 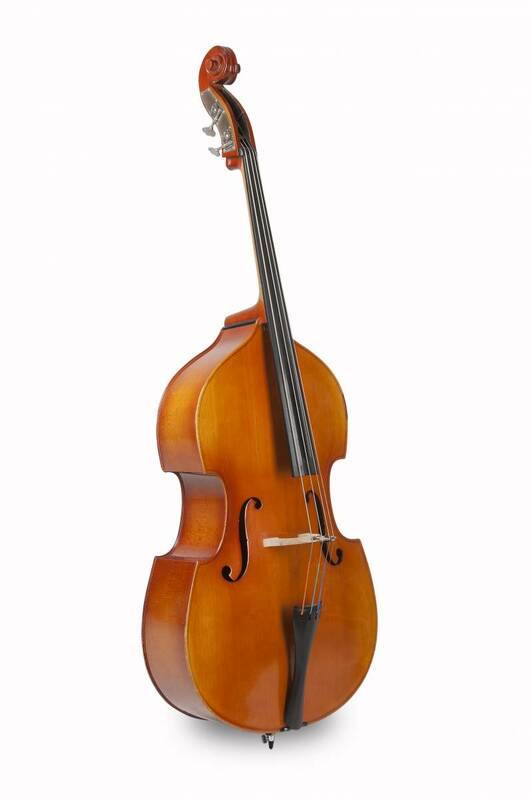 String bass sizes are 3/4 (which is standard) and 1/2.